A perfect accompanying bedside table for kids who like to sleep in the fast lane, the Racing Car Bedside acts an excellent partner to either the Racing Car Junior Bed or the Racing Car Single Bed. 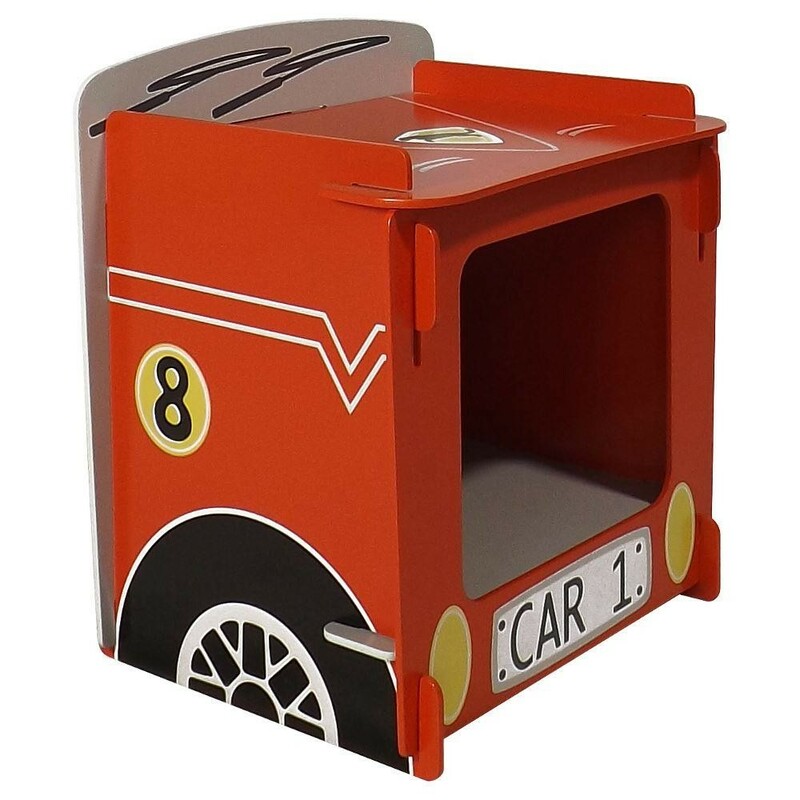 Fashioned to look like the front half of a car, the Racing Car Bedside brings both style and substance to your young racer's room. Little gearheads are sure to adore the look of a car crashing through their wall, or at the very least a sports car close to the bed. Fashioned to resemble the front of a sports car, the Racing Car Bedside is a vibrant red with charming touches like windscreen wipers, large black tyres and a number plate. Though small the Racing Car Bedside is mighty, durable thanks to its structure and accommodating, with its sturdy surface and spacious storage area beneath. The former allows kids to keep the likes of glasses of water or books close at hand in bed, with the former making the Racing Car Bedside brilliant for keeping toys safely tucked away. Much like the rest of the charming Racing collection, the Racing Car Bedside adheres to an innovative design that allows easy assembly. Simply slot each piece together, not unlike a jigsaw puzzle, and the Racing Car Bedside will be ready for your young racer's bedroom. The Red Racing Car Bedside Table is part of the Racing Car Red Wooden Children's Bedroom Furniture Collection.